What does – or should – rebranding really mean for a business-to-business organization? And how can you, as a B2B marketer, ensure a successful rebrand? When we get them to look a little deeper – and help them examine the strategic business opportunity underlying the marketing request – they invariably realize the value of a full brand repositioning. This means and organization-wide analysis and definition to articulate what makes you different and unique in terms of the value you deliver to your customers. This delves far below the surface – it can require examining, and sometimes retooling, how you formulate your offering, operate, go to market, engage customers (and employees), communicate visually and verbally… to name just a few of the possible points of transformation. Obviously, this is a tall order, and one often made more difficult than in B2C because of the non-marketing, non-customer-centric manufacturing mentality and culture at many B2B organizations. So we’ve learned to help marketers with their very first task – making the business case for branding. If the case is made directly to top leadership, and then socialized it across functions, the brand repositioning effort will enjoy the support and participation it requires. Even with the necessary support, brand repositioning may seem too daunting a task. After all, it is often brought on by moments of “big change” (and stress) such as mergers and acquisitions or changes in leadership. 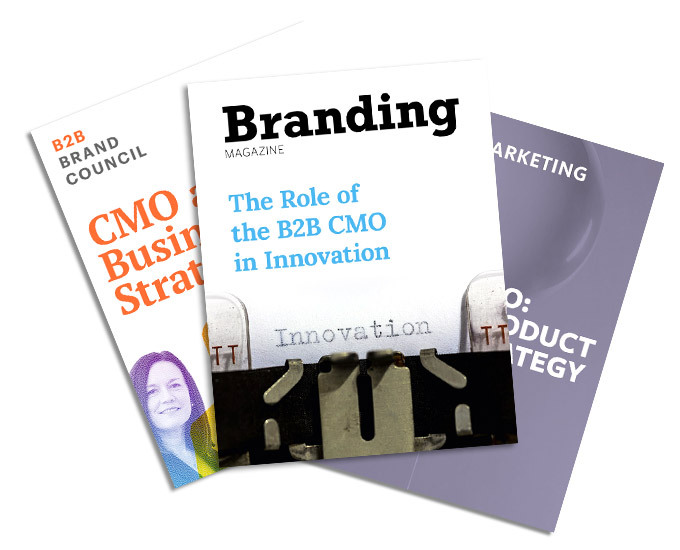 But our decades of experience has shown that B2B organizations can successfully navigate the rebranding process if they concentrate on just three words: Be. Do. Say. Discover who you truly are and ‘Be’ that – always. First, define your “Be.” Discovery is the first phase of any effective brand repositioning. However, sales-driven B2B organizations often confuse product (features and cost) with brand (purpose and promise), making it difficult for the company to “get over itself,” and get out to deeply understand its customers, competition and marketplace. Those that do are much better able to discover the truth of their situation, and begin to formulate a new brand positioning to maximize it. One important note: if you really want to “get over yourself” and clearly see your organization’s situation, it’s best to get an objective expert from outside. Find an experienced firm or consultant who can ask the tough questions – with the freedom to keep probing. “What unique value do you bring your customers?” “What truly motivates you to do so?” These and a wealth of other questions will help you get at the essence of who you are, why you matter – and where you do and don’t align on the answers to those key issues. Once you see what you can honestly ‘Be,’ you’ll be able to identify your core purpose, and define your mission, vision, values and brand promise. These essential pillars of your brand should, in this discovery and strategy phase, be encapsulated in clear, concise statements, to use as guideposts and yardsticks for all the branding work to come. ‘Do’ the things that make who you are self-evident. Too many brand efforts try to jump from the strategy phase right into communications. But in a world where the well-worn truism of “actions speak louder than words” still resonates with deeply skeptical employees and customers, the wise B2B company will first invest in creating the policies and programs that make your claims self-evident. This may require product improvement or innovation, special employee and sales force training, or the creation of new customer policies and service initiatives. Yes, this takes time and money, but the return is clear: when customers can see for themselves that your promise is true, you transform the relationship into one that builds loyalty, shortens sales cycles, justifies premium pricing, and increases market share. Of course, all of this external benefit depends on what you’ve done internally. Brands with a strong internal message, training and on-going internal branding program more easily attract and retain the best employees, which further enhances delivery of your core brand promise. Whatever you ‘Say,’ do so simply, clearly and memorably. Once your ‘Be’ and ‘Do’ are well-established and aligned, you can begin to ‘Say’ things for yourself. And by ‘say,’ we don’t just mean put a tagline under a logo (not that a good theme line isn’t a powerful communicator). Your brand messaging should encompass a full program, meaning any form of communication that conveys your brand purpose and promise. This could entail creating a new logo and overall graphic look that better represents your clarified brand. It could mean developing a new, unified brand voice to give common character to all communications. It could involve the development of innovative content that is memorable not for its cleverness but for its helpfulness (especially important in B2B). In all likelihood, a complete brand repositioning will find you ‘saying’ all of the above in multi-faceted campaign (it is, after all, a multi-touchpoint world out there). Be. Do. Say. It’s not just a catchy trademark for the highly-effective brand repositioning process we created. It’s a proven way to align your promise to the market with the actions of your company and your ability to deliver. It’s also been the key to the transformation of many successful B2B brands, including TransUnion, Ingredion, and Tosca, to name just a few. In fact, it’s been so successful that our CEO, Bob Domenz, was interviewed by Branding Magazine about the challenges of rebranding, an interview in which he not only describes “Be. Do. Say.” but also covers the perils of getting that process out of order. For more information on what goes into a successfully repositioning your brand, please contact us directly.